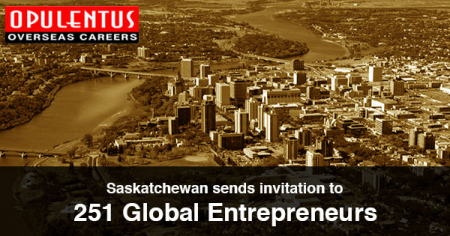 The initial draw, for the Entrepreneur Stream of Provincial Nominee Program, by the Government of Saskatchewan, for 2018, was held on January 17th. 251 foreign entrepreneurs invited to apply for the provincial nomination in it. The eligibility norm for an invitation for Candidates in the 'Expression of Interest' pool of Saskatchewan Immigrant Nominee Program was 80 points. The highlight of this stream is that it permits victorious applicants to start a business, attain it, or become a business partner in Saskatchewan, and also run it actively while residing in the province accompanied by their family members. The applicants initially receive a Canada Work Permit of temporary nature, which permits them to work in Saskatchewan. Later, they can apply for PR Status, when they fulfill the required conditions, of a Business Performance Agreement. The eligibility criteria expected from the entrepreneur candidates are a minimum net worth of CAD 500,000, an investment of equity of $200,000. (The figure is $300,000 when the placement is in the cities of Saskatoon and Regina). Other requirements include having the prospect to create profits and benefits to Saskatchewan, which will assess by an Immigration Officer designated by the Program. Eligible candidates are assigned Scores out of 160 when they enter into the SINP Entrepreneur pool. The grid of SINP puts a focus on the needs and requirements of the local labor market. Candidates, who plan to invest in top economic sectors, receive more points. Likewise, there is a preference to the candidates, who have already conducted, an investigative visit for five working days, and have submitted a proof of being in contact with the related business personnel. There are specific other factors also, which influence the outcome, like the age, language proficiency, education, and user experience of entrepreneurship. To find out if you are eligible to Move Canada permanently, Email us at [email protected] or call us 7207111222. One of our experts will meet your expectations and provide answers to queries.